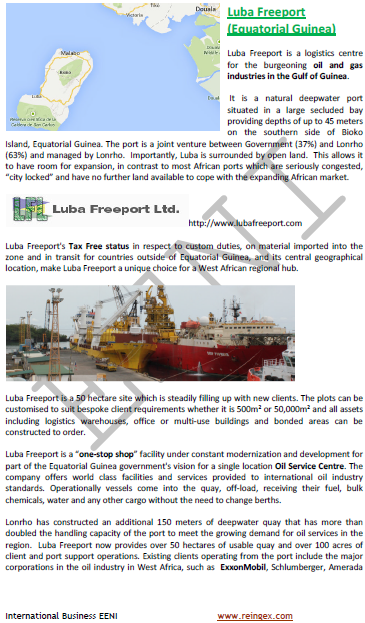 Syllabus of the Online Course (Subject): Ports of Equatorial Guinea (Malabo, Bata, and Luba Freeport). Description of the Online Course: Ports of Equatorial Guinea (Central Africa). Port of Bata (Equatorial Guinea). Port of Malabo (Equatorial Guinea). Port of Malabo belongs to the Central African Economic Area (African Civilisation).